As promised; I'm hoping to get back to reviewing more beers in full. I'm kicking that off with a beer that has been in my fridge pretty much non-stop since it was released last November. Hawkers have been constantly improving their range of beers since they launched in 2015. 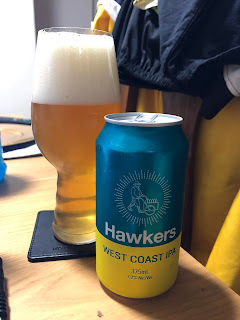 The addition of this West Coast IPA came as the NEIPA trend was beginning to grip Australia. I think that is, at least in part, why this beer has gained such a following. As with all Hawkers beers, it's readily available at most places you go and is brewed so frequently that it is always in superb condition. The beer pours a light golden colour, it is slightly hazy but is still translucent. The head is brilliant white and as with all canned beers, the head initially looks larger than it would if poured from a bottle. The true height of the head is more like 3 fingers high, and has wonderful retention with a layer of foam covering the beer throughout the duration of drinking. Onto the nose and it packs a punch. As expected when you call a beer a "West Coast IPA" there is plenty of bitter pine aroma. There is also a fruity aspect to the aroma with passionfruit, pineapple and lychee all present, alongside a floral note that I get from a lot of the Hawkers range. There's next to no malt characteristics evident on the nose, although there is a hint of some generic sweetness underneath the cavalcade of hop notes. 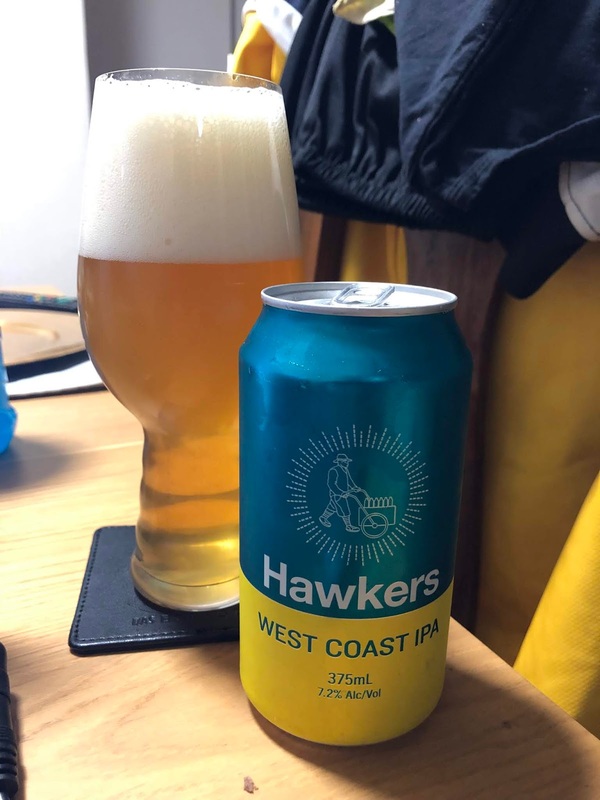 The Hawkers West Coast IPA taste follows on nicely from the nose. There is a heap of bitterness up front, where the dominant flavour is pine. As the beer progresses through the palate the fruity notes open up more with pineapple, mango & passionfruit all easily identifiable. The floral notes are also there, while there are some slightly sweet biscuity malts doing just enough to stop the beer being too aggressively bitter. I love this beer! Overall, there are very few traditional American IPA's in Australia that are as consistently as this beer. I would say that this, alongside the Fixation IPA, is the best value for money option out there if you're looking for an IPA that still has some bitterness - with this getting the nod due to it being in cans. I hope you can all look past the gaudy blue/green & gold label and pick up this IPA - it's sensational!